Opening soon at the Willard Smith Planetarium will be Strange Planets, a show about how we detect planets around other stars. 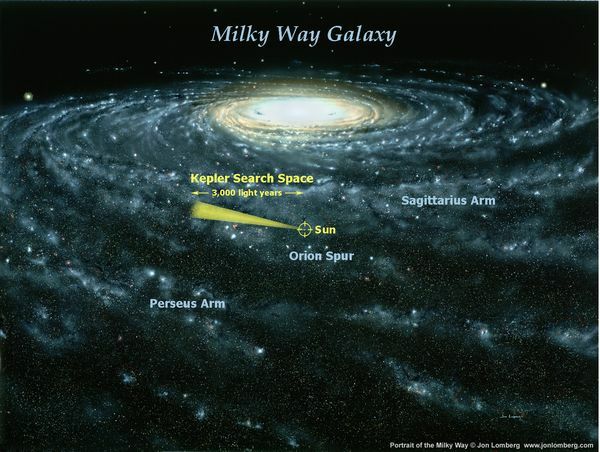 To whet your appetite – how about a few details about the Kepler Mission. In short – the Kepler Mission is a telescope in orbit that is pointed at the exact same patch of sky for a period of four years (starting in 2009). It is detecting planets around other stars via the so-called transit method – watching as planets transit in front of their stars. By watching for five years it should be able to detect hundreds (if not thousands) of planets in Earth-like orbits, and therefore plenty of planets in their stars habitable zones. 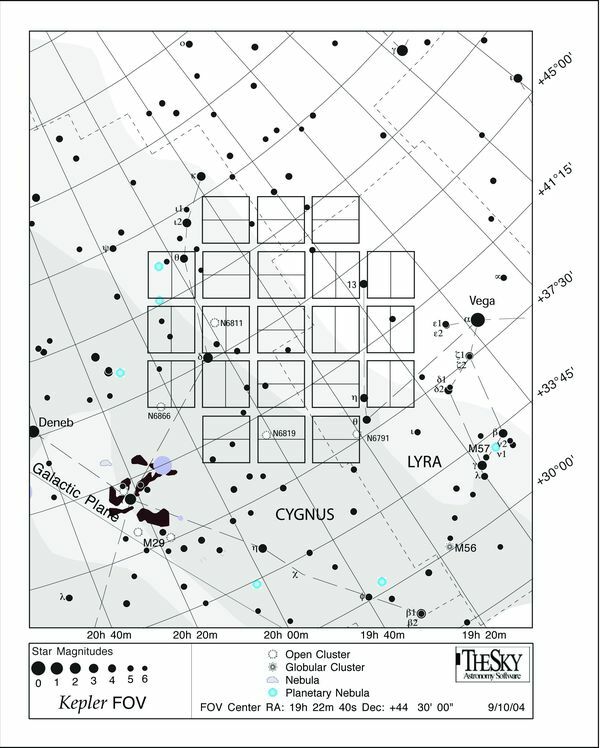 Kepler is closely watching a little patch of sky by the constellation Cygnus, pointed along our little section of the Milky Way, carefully avoiding all the brightest stars. Advanced gyroscopes onboard Kepler keep it pointed in exactly the same direction so the scientists at JPL can get unwavering readings on each star in Kepler’s field of view. To detect planets and calculate their orbits with certainty Kepler will have to watch each planet transit two or three times at least. For a planet like Earth, in its star’s habitable zone, the orbit takes about a year. Different sizes and temperatures of stars have habitable zones at different distances, but the Kepler mission will be able to do a good job at detecting planets with orbital periods up to about two years. 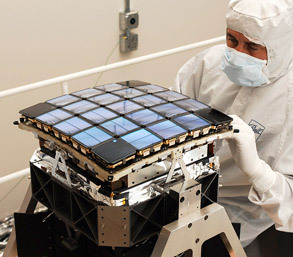 Look at this beautiful picture of the Kepler CCD array (from NASA). Ooo! Shiny! Abstract: In the spring of 2009 the Kepler Mission conducted high precision photometry on nearly 156,000 stars to detect the frequency and characteristics of small exoplanets. On 15 June 2010 the Kepler Mission released data on all but 400 of the ~156,000 planetary target stars to the public. At the time of this publication, 706 targets from this first data set have viable exoplanet candidates with sizes as small as that of the Earth to larger than that of Jupiter. Here we give the identity and characteristics of 306 of the 706 targets. The released targets include 5 candidate multi-planet systems. 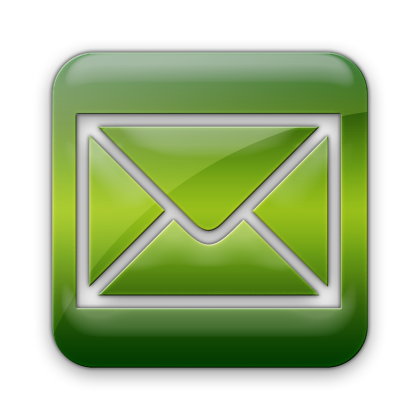 Data for the remaining 400 targets with planetary candidates will be released in February 2011. The Kepler results based on the candidates in the released list imply that most candidate planets have radii less than half that of Jupiter. The Extrasolar Planets Encyclopaedia – a good resource for the latest exoplanet totals and discoveries. And just today, they are giving details on 300 more planets (http://arxiv.org/abs/1006.2799), five stars with multiple planets (http://arxiv.org/abs/1006.2763), and thousands of eclipsing binaries (http://arxiv.org/abs/1006.2815). Woohoo! this is probably one of the most important planet detection efforts underway.. what we DO with the data is critically important. if we neglect it, it’s equivalent to ‘sin’. if we use the data for SETI or attempts to probe extra-solar planets, then we’re moving in the right direction. the next step is to determine if ‘goldilocks planets’ have atmospheres likely to sustain carbon-based life.. we need to support this effort as substantially as we can justify. not more than attempts at space technology but perhaps just shy.. regardless, we need to make a commitment to extra-solar planetary detection and exploration.